After viewing some property in Punta Chame again today, we continued out the point so that I could finally check out what ‘Nitro City’ was all about :-). 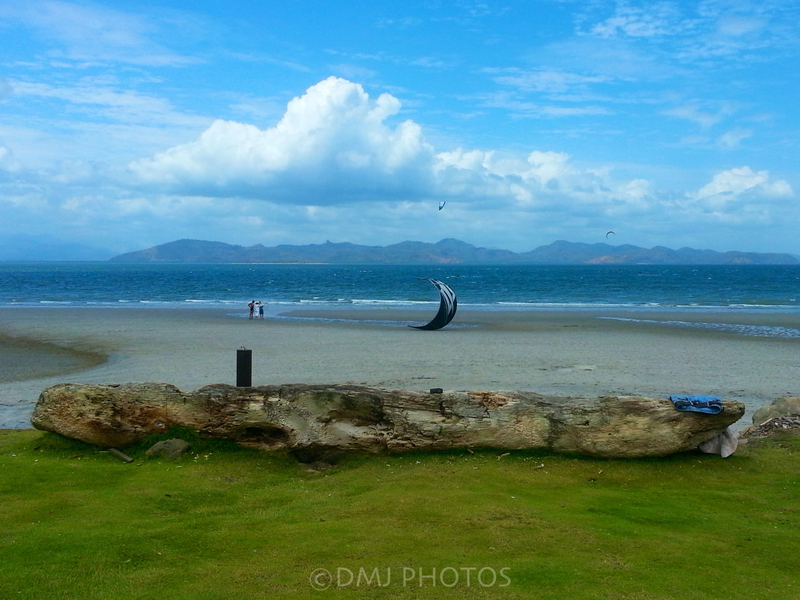 This is the view from the patio of the restaurant – kite surfers galore, with a stunning island backdrop! It was amazing watching the surfers flipping and turning mid-air, enjoying two of nature’s amazing gifts – waves and wind. This was only one of the many ‘extreme sports’ that Nitro City has to offer. I can certainly understand the attraction, and wonder why it took me so long to venture out there! This entry was posted in Uncategorized and tagged 365 Day Photo Challenge, Denise MacDonald, DMJ Photos, Nitro City, Panama, Photo Challenge, postaday, Punta Chame. Bookmark the permalink.